Hello! 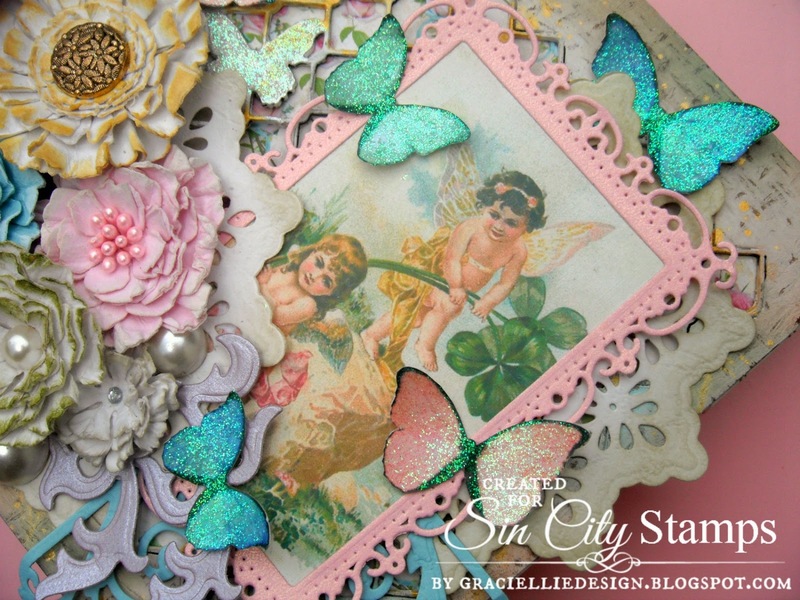 I'm Gracie from Graciellie Design and this is my very first post for Sin City Stamps. 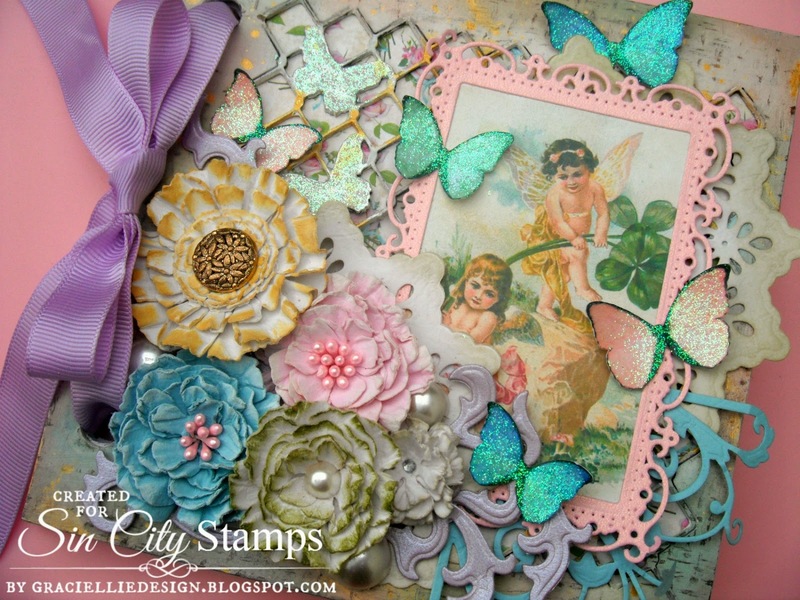 Today I'll be sharing a vintage/shabby chic fairy album I made using products from Sin City Stamps and from our blog partner for the month of August, Altered Pages. I will guide you through each step of the process through a photo tutorial. To see how I created my album, please start the guide below and follow each step. 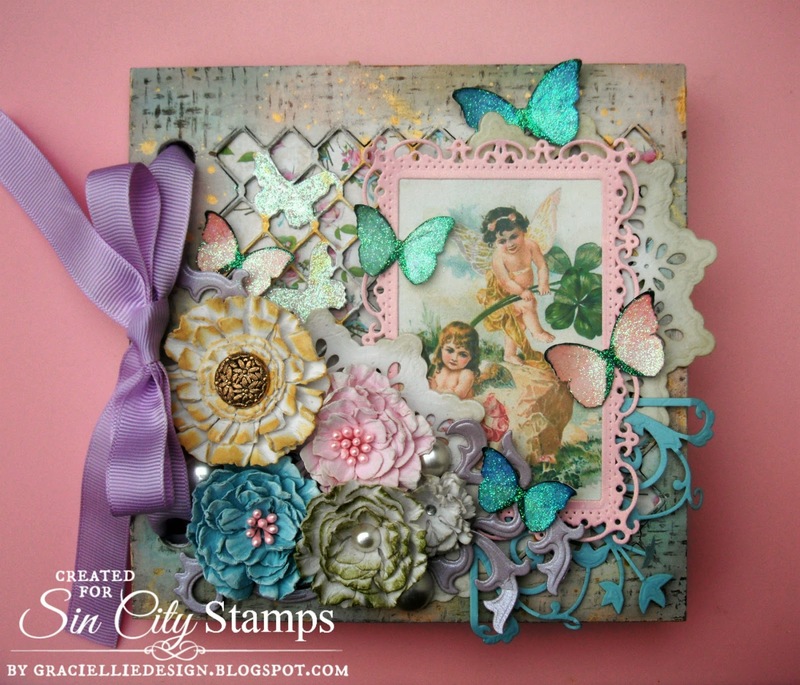 Check out How to Make a Vintage Fairy Album by Gracie CH on Snapguide. I hope you enjoyed my project and tutorial. To purchase the products I used to create this album, please click on the corresponding link on the list of supplies. 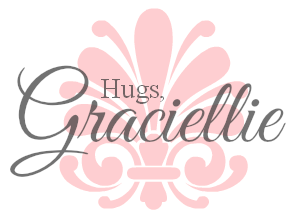 If you have any questions, feel free to contact me through a comment here or at my blog. Very soft and beautiful fairy album. Absolutely gorgeous, Gracie! 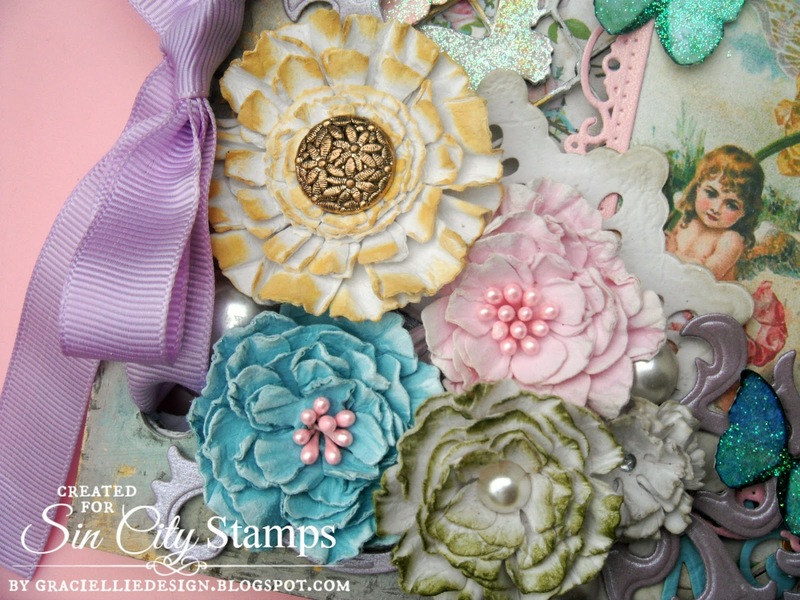 Love the vintage, shabby chic look. Thanks! I'm so glad you liked it! This is just beautiful. You can see all the love and attention to detail you put into this handmade project. TFS! Thanks so very much Steph! this is really lovely! THANKS for sharing!